Today… the least talked about day of anyone’s financial life. If you sit down with any financial planner the first question they will probably ask you is what your goals are? Where do you see yourself in 5 or 10 years’ time? Where would you like to be? When would you like to retire? Who knows the answers to all these things??? I’m not saying that they are not important questions to ask, or that we don’t need to think about them; but I do believe there is a step that needs to be discussed first. The first step in building a wealthier life is to take a step back and honestly evaluate where you are today. It’s important to create a balance sheet for yourself. No organization out there operates without a balance sheet but I find it interesting that most people go through their whole life without ever creating one. Whether it’s the minor hockey league you play in or the coffee shop on the corner or the corporation you work for, they all at some point create a balance sheet, usually at least once a year. I know this sounds very boring and complicated but it’s really not as hard as it sounds. A balance sheet is just a simple chart with 2 sides. On the left side you need to list your assets, what do you own that has value? Some financial experts say to get a true understanding of where your money has gone it’s important to list everything you own, from the clothes in your closet to the cutlery in your kitchen and its value. For our purposes however, it doesn’t need to be that detailed. Step one is to start with your cash assets such as bank accounts, savings accounts, term deposits, and investment accounts. Also, don’t forget about RRSP plans from current and previous employers or any other benefits you have earned to date. Do you have collectibles or jewelry that is worth money? Try and be thorough, include your cars, recreational vehicles and any other large assets. As a rule of thumb, I would list anything you felt had a value greater than $1000. It’s also important to give a realistic value; that 1984 Civic isn’t worth $20,000! The last important point is to list things to the penny, if you have $1236.17 in your savings account that’s what you put down, not $1200 or $1250. 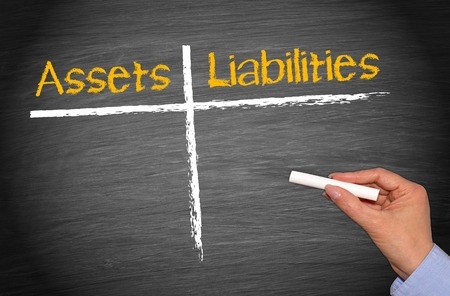 Step two, on the right side of the chart list all of your liabilities (debts). Include all of your credit card debts, your loans and lines of credit as well as any mortgages you have. Also include any personal debts owed to family or friends, no matter how small. On this side it’s also very important to be accurate. If you owe $1045.65 on your visa, don’t just write $1000. You need to know exactly where you are! Simple right? Most people have a general idea of where they are at but very few really know the numbers and often underestimate the amount of debt they owe. Keep in mind, only you have to see this, it doesn’t have to be shared with anyone (even though I recommend you find someone that you can share with to help keep you accountable on your journey) so make sure you are completely honest, it’s time to stop deluding yourself and take real control! The last step is to add up both columns and total them on the bottom. I know… math, it’s awful but trust me, adding and subtracting is about as complicated as it will get. The difference between the 2 numbers is your net worth. To make this even easier I have included an excel template that you can use that will add all this up for you. This is today, this is where you start from. I can’t stress enough how important this is. If you think about anything you are trying to do, you always need to know your starting point. If you are trying to lose weight, you first step on the scale; if you want to be a better golfer, your coach will first evaluate your swing; if you are going to build a house, you start with drawing up the plans. 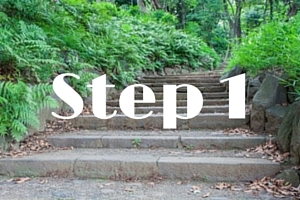 Everything has a starting point and now, with this short exercise you have yours. Congratulate yourself!! Step one complete.